Oil prices rose some $3 a barrel for the first three days last week and then collapsed on Thursday and Friday as Beijing announced its plans to reduce the capacity of its small “teapot” refineries, and Hurricane Irma closed in on Florida reducing demand for oil products in the state. Recovery from the Texas hurricane, Harvey, continues with 8 of 20 refineries that were closed by the hurricane now back to normal operations. The ports of Corpus Christi and Houston are returning to normal, and several other refineries report they will be back in operation in the next week or two. Gasoline prices in the US are starting to retreat from storm-induced spikes as refineries and pipelines return to normal. The unusually large crude and product reserves in stockpiles have helped cushion price increases. As was the case with Hurricane Harvey, the full impact of Irma on Florida will not be known until the hurricane has passed by the state. Some are predicting that economic activity in the states impacted by the giant storm could be curtailed for many weeks or even months as reconstruction takes place. Irma is also delaying and disrupting crude shipments across the Caribbean in and out of the US. As seems normal these days, predictions as to where oil prices are going in the next year are mixed. Some see a tighter oil market in 2018 while others see prices remaining in the vicinity of $50 a barrel for the immediate future. There are so many variables that could have a significant impact on oil prices in play at the minute, a clear look ahead is becoming difficult. New factors such as increasing tensions in Korea and the possibility of military hostilities had some warning of a major oil price spike and others feeling that hostilities could curb demand. 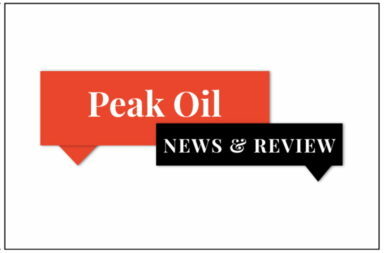 At the minute, we have concerns that the US shale oil industry may be reaching peak production due to production costs continuing to be below selling prices. The outlook for major oil consumers such as the US and China is not that good as the US has to pay for the costs of two major hurricanes and China borrowing continues at an unsustainable level. Venezuela moves closer to total collapse with each passing week. Increasing temperatures in the Middle East are forcing some exporting countries to consume a greater portion of their oil production domestically. Most major oil exporters are outspending their revenues. In short, much is in flux these days. The OPEC Production Cut: The cartel exported 25.19 million b/d of crude last month, the lowest since April. At least one observer, Kpler, a firm of tanker trackers, says that the Reuters export estimate is too low and the August number was closer to 25.9 million b/d. The eight-month average for 2017 was 25.05 million b/d which was above the corresponding period in 2016 before the production caps begun. The 370,000 b/d decline in OPEC exports was due to geopolitical troubles in Nigeria, Libya, and Venezuela rather than any conscious effort to lower exports. With seven months left in the current production cut agreement, it does not appear that the production cut is going too well. Hence efforts to extend the cut further into 2018. OPEC has invited Libya and Nigeria to a meeting on Sept. 22nd to discuss the outlook for their production. Together, the two countries have increased their production between 700,000 to 900,000 b/d in the past year. This, coupled with a revival of US shale oil production, has largely offset the cuts made by Middle Eastern producers. Declines in US crude stocks are no longer as meaningful as they were last year and the US is now exporting large amounts of its shale oil production and the Saudis are making a deliberate effort to reduce exports to the US. Moreover, before the recent hurricanes, the US was refining and exporting well above normal quantities of oil products to Latin America and other countries. There is no reason to believe that these exports will not resume after the US recovers from the hurricanes. Moscow said last week that it is willing to consider an extension of the production cuts if the glut persists, but that it is still too early to make a decision. US Shale Oil Production: For many years now a small number of observers mostly from outside of the financial and oil industries have said that the US shale oil boom that raised US oil production by about 6 million barrels per day is unsustainable. Despite the hype about “efficiencies”, most shale oil producers are still losing money on every barrel of oil that is sold. The losses are being made up by issuing equity to fund drilling costs and outright loans from banks. In the last four years, a weighted average of 33 shale oil E&P companies has been losing some $15 to $20 billion each year. Losses were taking place even when shale oil was selling for above $100 a barrel. North Dakota reports that last month its shale oil production was selling for $38 a barrel as compared to the all-time high of $136 back in 2008. This likely is the reason why production in the Bakken seems to be peaking at around 1 million b/d. Depletion rates of shale oil wells are so high that most are only producing on the order of 15 percent of their original production after three years. Production from legacy wells in the major basins is already declining by over 400,000 b/d each month. To maintain production at current levels, the industry must open 400,000 b/d of new production each month just to stay even. As long as Wall Street is willing to keep pumping some $15 to $20 billion into the oil industry each year, then production will continue or even grow. If outside money stops flowing into the shale oil industry, then drastic declines in US shale oil production necessarily would take place very quickly. Observers are starting to note that there is a growing divergence between the EIA’s weekly estimate of US oil production which is mostly informed guesses and the monthly figures which are not released until several weeks after the month is over. In May, the EIA weekly publications had the US producing 9.34 million b/d. When the more accurate monthly numbers came out the country was only producing 9.16 million b/d. For June, the weekly numbers had production at 9.31 million, but the monthly analysis came out 220,000 b/d lower at 9.09 million. There seems to be a reason for those skeptical of EIA’s weekly production estimates. The EIA sees US oil production surging from 9.3 million b/d in 2017 to 9.9 million next year. Given the interruptions caused by Hurricane Harvey, it seems unlikely that US production will be approaching 10 million b/d anytime soon. If the size of the shale industry’s losses ever sinks into Wall Street, US oil production could be declining rather rapidly. Prices, of course, would be much higher, making OPEC and the other major exporters very happy, but also putting a crimp in economic growth and cutting demand. Iraq: Oil exports by the federal government were slightly lower in August (3.23 million b/d vs. 3.21 in August), but revenues were up due to higher oil prices. The issue is complicated by the oil being exported through Turkey by the semi-independent Kurdish province, where the volume of exports is in dispute. Norway’s DNO is teaming up with Exxon and a Turkish company in Ninawa province, controlled by the Kurds. DNO will assume operatorship of the license with a 40 percent interest, acquiring one-half of ExxonMobil’s position. Exxon retains a 40 percent interest, the Turkish Energy Company its 20 percent interest and the Kurdistan Regional Government the rest. The biggest challenge facing Iraq since the US invasion may be the upcoming referendum on independence that is scheduled for September 25th. The referendum is expected to pass easily and could be followed by a declaration of independence. Should this happen, the political landscape of the region could change radically. Baghdad is not completely opposed to its province of Kurdistan seceding but draws the line at the Kurds annexing the region around Kirkuk and its oil riches which they seized during the ISIS uprising. Most states in the region are opposed to an independent Kurdistan. The Turks fear that it will increase the problems with their large Kurdish population who would want to join the new state. Iran and Syria face the same problem. Tehran has already indicated that it will help its fellow Shiites in Baghdad maintain control of the Kirkuk area. A declaration of independence by Erbil could lead to decades of turmoil involving numerous regional and world powers. Saudi Arabia: Riyadh says it will cut crude oil allocations by 350,000 b/d in October which is in line with its commitment to cut 486,000 b/d under the production freeze agreement. Initial indications show that exports to the United States in October will be lower than 600,000 b/d. The Saudis have been slashing shipments to the US in an attempt to drain the US crude inventory. The US inventory is reported weekly which gives it much more prominence in the eyes of oil traders. When the Saudis disclose the balance sheet of their flagship oil company, Aramco, to investors next year, it must either show record profits which would attract outside investors, or be faced with admitting that the company is not worth $2 trillion as the government has been claiming. Based on Aramco’s “official” oil reserves of 261 billion barrels and the current price of oil assets which is $7 to $8 per barrel Aramco believes the company is worth close to the $2 trillion. To justify such a valuation, however, Aramco has to report earnings on the order of $130 billion before interest, taxes, depreciation, and amortization. By comparison, Apple, the current most valuable firm in the world is worth around $830 million on gross earnings of $82 billion. Many observers believe that the Saudi claim of $2 trillion is an exaggeration given the current outlook for the global oil market and dubious claims as to how much oil is left in its fields. Libya: The country’s largest oil field again is operational following a two-week shutdown. In late August, the assaults by the armed group Reyayna Patrol Brigade had forced some of the pipelines connected to the Sharara field to be shut down. Libyan output fell from 990,000 b/d in July to 830,000 b/d in August due to the pipeline closures. This development, which if recent history is any guide, may not last long, but puts the country back to producing close to a million b/d which is not helping the OPEC production cut. The conglomerate CEFC China Energy will buy a 14 percent stake in Russia’s Rosneft for $9.1 billion from a consortium of Glencore and the Qatar Investment Authority, thereby strengthening the energy partnership between Moscow and Beijing. The deal comes as the US imposes a new round of economic sanctions on Russia, making it difficult for Western firms such as Glencore to increase ties with state-owned firms such as Rosneft. Independent refineries holding crude import quotas in China’s Shandong province are planning to consolidate into a single corporate entity to strengthen their competitive edge. The Shandong Economic and Information Technology Committee said it had approved the setting up of Shandong Refining Energy Group Corp., a proposal which was brought up by the Shandong Oil Refining Association, an independent organization. China’s new energy (electric) vehicle industry has seen rapid growth in the past few years. Production and sales of electric vehicles have surpassed 1 million units so far, with an annual growth rate of over 200 percent. With more than 50 percent of the world’s electric vehicle production, sales, and ownership in 2016, China is now a global leader. Domestic battery makers, motor producers, and other enterprises in the supply chain have become internationally significant suppliers, with more than 70 percent of the global shipments of batteries coming from China. Public charging facilities within China have surpassed 180,000, with their coverage increasing in residential areas, along highways, and in other public space. President Putin said the dispute with ExxonMobil over the Sakhalin-1 oil and gas project has been resolved. Exxon has been in talks with Gazprom for years over gas sales from Sakhalin-1. Exxon also lodged a claim with a court of arbitration in Stockholm in 2015 seeking the return of $637 million which it said it had overpaid in taxes. Despite sanctions from the US and the EU, and Europe’s determination to reduce its reliance on Russian gas, Moscow has been setting all-time highs in its exports to Europe in the past eight months. Gazprom has been setting all-time summer season export records, with current gas flows around 580-590 million cubic meters per day. Gazprom also announced it signed preliminary agreements for small- and mid-sized liquefied natural gas projects in the Japanese market. Economies in the Asia-Pacific region are expanding faster than developed nations and are importing more oil and gas. As Russian reserves of conventional oil start to dwindle, the question arises as to whether Moscow will be able to exploit its reserves of shale oil as the US has done. Some 20 percent of Russian oil reserves are believed to belong to the “tight” oil category. Most of these reserves are located in current oil producing regions that already have a well-developed infrastructure to produce and transport tight oil. So far there has been little movement in Russia to exploit shale oil deposits. Without the fracking techniques developed in the US, the yield from tight oil deposits is uneconomical. In comparison with traditional sources of oil, tight oils are much more expensive to produce and so far, there have been few incentives to begin production. Initial efforts to produce tight oils could cost on the order of $80 to $90 a barrel which is well above the going price of oil these days. US and EU sanctions have prevented Russian oil companies from seeking technical assistance abroad, and so far, Moscow has done little to promote tight oil development while it pushes for increased Arctic oil production. This may be changing. The Ministry of Natural Resources is proposing changes to the existing legislation so that there would be no taxes on new technologies for producing oil. The government’s plans to increase crude oil production will receive a boost, as the multi-billion dollar Egina Floating Production Storage and Offloading vessel, currently being constructed in South Korea, is scheduled to add 200,000 b/d to Nigeria’s output by the fourth quarter of 2018. Total said the completion of the vessel is on schedule and within budget. as Samsung Heavy Industries completes its construction. The government is insisting that the Egina FPSO must be fitted out in Nigeria. Samsung appears to have gone out of its way to integrate as much Nigerian content into the new vessel as possible. The government has invited international bondholders to negotiations over its foreign debt as the government in Caracas seeks to mitigate the impact of US sanctions and survive a deepening economic crisis. President Maduro told the government-controlled constituent assembly on Thursday that almost three-quarters of the bondholders were from the US and Canada. Russia, the major lender to the South American country, confirmed that it had been asked to help with a restructuring. Moscow has extended state loans as well as financial assistance from Rosneft, the government controlled oil producer, to Venezuela’s state-owned PDVSA.